Entry filed under: Graphic Design, Original Type, Type. 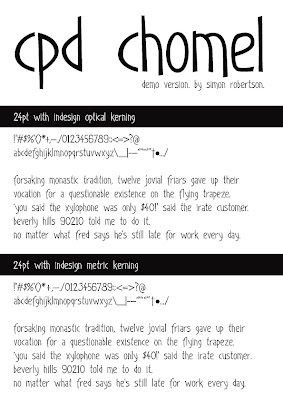 Tags: chomel, font, Graphic Design, Type, type design, typeface, typography. hey anon and neic, thanks for your nice comments. it’s nice to have friends like you… except i;m not sure you are my friends as i don’t even know who you are? anyway…. thanks again for the kind words.